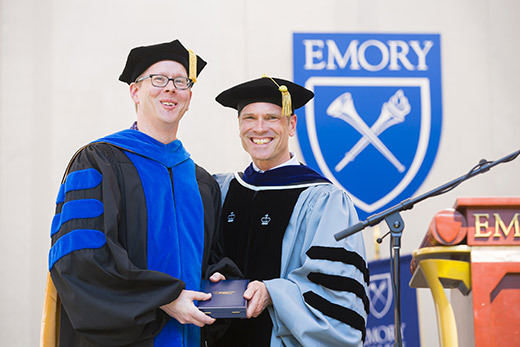 Emory University faculty and staff were recognized with multiple awards at the 2018 school diploma ceremonies. Among those honored were the winners of the Emory Williams Distinguished Undergraduate Teaching Award. It was established in 1972 by alumnus and longtime trustee Emory Williams to honor faculty for fostering participation, inquiry and creative expression in the classroom; providing a model for teaching and scholarship, mentoring students, and more. Emory Williams Distinguished Undergraduate Teaching Award: Jose Soria, senior lecturer in the Department of Chemistry; Valerie Loichot, professor of French and English; Tracy Scott, senior lecturer, Department of Sociology.